U.N. officials were allowed to meet Thursday with boat people detained by Thailand and interviewed a dozen migrants as young as 14 about their perilous journey and allegations they were abused. The meeting came after weeks of calls by the U.N. High Commissioner for Refugees and rights groups for Thailand to provide access to the Rohingyas — members of a stateless Muslim ethnic group who fled persecution in Myanmar — and explain allegations that it forced out to sea as many as 1,000 migrants. UNHCR officials were granted access to 12 young people, aged 14 to 17, from a group of 78 Rohingyas who were rescued by the Thai navy on Monday night, said Kitty McKinsey, the U.N. agency’s Asia spokeswoman. McKinsey said she would discuss their findings with Thai authorities before publicizing them, but reaffirmed the agency’s demand that Thailand not forcibly return them to Myanmar. A Thai court convicted the adult migrants detained with the minors of illegal entry on Wednesday, raising concerns they could be deported. Myanmar, Thailand Force Hungry Refugees to Run, Or Deport Them To Where? Dozens of migrants from Myanmar who washed up in Thailand this week were convicted Wednesday of illegal entry and will be deported, police said, raising fears that they may face persecution back home. The 78 Muslim Rohingyas — 66 men and 12 teenage boys — were intercepted just after midnight Tuesday and taken into police custody amid accusations that the Thai military have abused other boat people from Myanmar and Bangladesh. Colonel Veerasilp Kwanseng, commander of the Paknam police station where the Rohingya were detained, said the 66 adults were fined 1,000 baht (28 dollars) each for illegal entry, but could not pay so were jailed for five days. “They will stay in prison until the term is finished and then immigration will take them before processing their deportation,” Veerasilp said. The 12 Rohingya teenage boys who are under the age of 19 will not be jailed, but will be deported with the rest of the group, he added. Accusations of mistreatment surfaced earlier this month after nearly 650 Rohingya were rescued off India and Indonesia, some claiming to have been beaten by Thai soldiers before being set adrift in the high seas to die. Hundreds of the boat people are still believed to be missing at sea. Kitty McKinsey, spokeswoman for the UN refugee agency UNHCR, said the fact that the 78 Rohingya were processed by police rather than the army was positive, but said they continued to press for access to the migrants. The UNHCR has asked to see another group of 126 Rohingya reportedly detained in Thailand earlier this month, but authorities have denied they exist. The Rohingya are stateless and face religious and ethnic persecution from Myanmar’s military regime, forcing thousands of them to take to rickety boats each year in a bid to escape poverty and oppression, and head to Malaysia. The Thai foreign ministry earlier Wednesday “categorically denied” reports that it had mistreated any migrants. Despite piracy, seacoasts of Somalia are mired in poverty. The money paid to pirates in ransom benefits only a few….Any thought you had of “Robin Hood” style pirates helping their fellow countrymen is not supported by the facts….Meanwhile, President Abdullahi Yusuf Ahmed of Somalia has resigned…. A Voice of America journalist has filed reports from Hobyo in the Galmudug region of central Somalia which indicate that ransom money [paid to pirates] is not being diverted directly to Islamic terrorist or rebel groups, despite some media reports to that effect and that the main Islamic militia, Shabab, is clamping down on pirates. Hobyo, which has been a pirate stronghold is now under Shabab’s control. Also, contrary to some reports, Alisha Ryu found that local people did not support the pirates at Hobyo and that virtually none of the ransom money was being used to their improve living conditions or benefit the local community. The growing strength of Islamic groups in the coastal area may, she says, be tied to local anger over piracy and deepening poverty. Pirates shoot on the deck of the Chinese ship “Zhenhua 4” in the Gulf of Aden December 17, 2008 in this photo released by China’s official Xinhua News Agency. Ms Ryu also reports that the Shabab Islamic militia which is doing much of the fighting against the central government and is is control of large areas of southern and central Somalia is strongly opposed to piracy. It fought a pitched battle with the pirates who have been operating out of Hobyo on 22 December and took control of the town. The VOA reporter quotes a pirate as saying that all pirates in central Somalia are under severe pressure from Islamists to disband. He says that, in recent months, pirates trying to go ashore in any area controlled by the Islamists have been threatened and chased away. She says that Somali sources tell VOA that the Islamists’ tough stance against piracy has prompted many poor people in coastal communities to quietly begin supporting the return of Islamist rule. Somalia’s transitional president has resigned amid a power struggle with the African nation’s prime minister and parliament, sources told CNN on Monday. 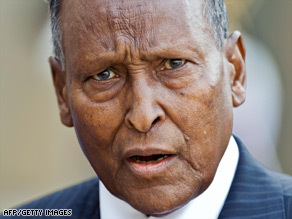 Abdullahi Yusuf Ahmed tried to fire his PM this month but later lost a confidence vote. Abdullahi Yusuf Ahmed announced his resignation Monday before parliament in Baidoa. Ahmed’s resignation is the latest turn in the political crisis in Somalia, which is already struggling with an Islamist revolt, a refugee crisis and rampant lawlessness that has fueled a wave of piracy off the Horn of Africa. Somalia has been without an effective central government since 1991. The U.N.-backed transitional government has the support of Ethiopian troops that ousted an Islamist government at the end of 2006, but it controls little of the country outside the southwestern city of Baidoa. A sustainable global food system in the 21st Century needs to be built on a series of “new fundamentals”, according to a leading food expert. Tim Lang warned that the current system, designed in the 1940s, was showing “structural failures”, such as “astronomic” environmental costs. The new approach needed to address key fundamentals like biodiversity, energy, water and urbanisation, he added. Professor Lang is a member of the UK government’s newly formed Food Council. 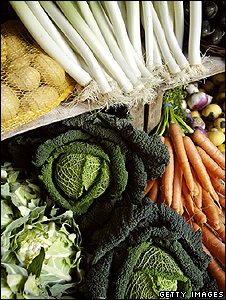 “Essentially, what we are dealing with at the moment is a food system that was laid down in the 1940s,” he told BBC News. “It followed on from the dust bowl in the US, the collapse of food production in Europe and starvation in Asia. Professor Lang, from City University, London, added that during the post-war period, food scientists and policymakers also thought increasing production would reduce the cost of food, while improving people’s diets and public health. A U.N. report says hunger is on the rise globally and blames higher food prices. 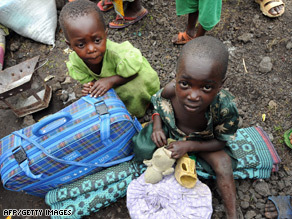 Populations within conflict zones such as the Democratic Republic of Congo are particularly vulnerable. The Food and Agriculture Organization has issued preliminary estimates classifying 963 million people as undernourished — an increase of 40 million people over the past year. “One out of seven people — about 15 percent — suffer chronically of not having enough to eat,” said Mark Smulders, an FAO economist. The hunger report — titled “The State of Food Insecurity in the World 2008” — said the world’s financial and economic problems could throw more people into poverty. The number of hungry had been increasing over the years before the rise in food prices, with warfare and political instability continuing to be among the factors causing poverty. The goal of halving the number of hungry people in the world by 2015 is becoming ever more elusive, with 40 million more people plunged into chronic hunger this year, the UN food agency’s chief said on Tuesday. “For many countries, the world goal of reducing hunger by half is becoming increasingly difficult to achieve,” Food and Agriculture Organisation Director-General Jacques Diouf told a news conference, referring to one of the Millennium Development Goals set in 2000. The global food crisis has added 40 million more people to the ranks of the hungry this year, taking the estimated number to 963 million, he said, unveiling the Rome-based agency’s annual report on world food insecurity. North Korea, plagued by years of famine, will “urgently” need food aid for 40 percent of its population, the United Nations’ Food and Agriculture Organization and the World Food Programme said in a report yesterday. The country is facing a shortfall of more than 800,000 tons of grain for the year through October 2009, in what is likely to be a third straight year of dropping food production, the report said. About 8.7 million of the country’s 23 million people will “urgently need food assistance,” because “the country’s agricultural production will not meet basic food needs,” according to a FAO/WFP Crop and Food Security Assessment Mission report. The agencies visited North Korea from Oct. 9-24. “The findings of the mission confirm WFP’s fears that millions of DPRK households will suffer through yet another year of food shortages,” WFP country Representative Torben Due said in a statement from Pyongyang, referring to North Korea by its official name, the Democratic People’s Republic of Korea. Floods, drought and economic mismanagement have led to persistent food shortages. The South Korean government said in August it is considering a UN request to help raise $60 million to buy food and other essential supplies for its neighbor. North Korea and South Korea remain technically at war since their 1950-53 conflict ended without a peace agreement. North Korea has about 1.2 million soldiers and South Korea about 500,000 on the border. There are 28,500 U.S. soldiers stationed in South Korea. Half a million people in Zimbabwe will go without food handouts this month, the UN agency responsible for feeding more than two-fifths of the country’s population warned yesterday, as shortages of funds force further cuts in rations. The food crisis has contributed to the rapid spread of the cholera epidemic now ravaging the country. So far nearly 600 people have died and more than 12,000 have been infected, according to the authorities, but the real figures are believed to be much higher as the disease takes its toll among people weakened by hunger. You are currently browsing the archives for the hunger category.